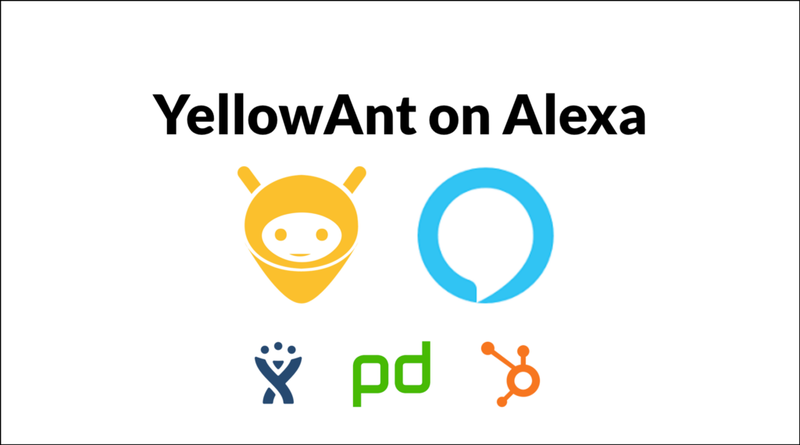 YellowAnt brings to you a powerful new integration- with Amazon Alexa. Now, notifications from all your relevant apps can easily be intimated to your team without ever have to switch between tasks. Ideally, you would like all the relevant team members to know about a bug as soon as a Jira issue is created for the same. 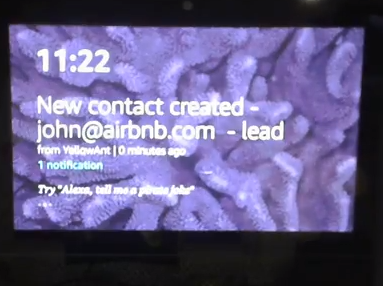 Allow your Echo device to do your job for you, and announce a bug to your developers team with these no-code Event Workflows by YellowAnt. Follow these simple steps to create a workflow to send notifications to your Echo device every time a Jira issue is created. 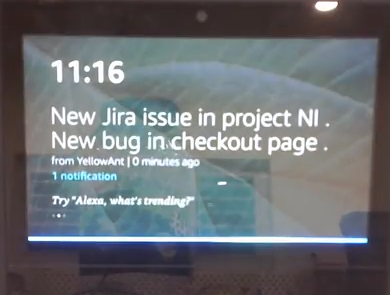 You can use these steps to integrate Jira with YellowAnt. 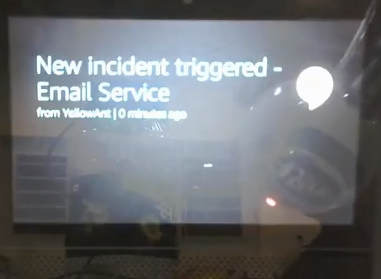 The best teams are always up to date with new incidents. With YellowAnt, your Echo device can alert your team of incoming issues with no human intervention! Follow these simple, no-code steps to create a workflow to send notifications to your Echo device every time a Pagerduty incident is created. You can use these steps to integrate Pagerduty with YellowAnt. HubSpot is a powerful tool that allows you to track and organize incoming leads. What if your CRM team was instantly notified of an incoming lead on Echo devices? Follow these simple, no-code steps to create a workflow to send notifications to your Echo device with every new incoming lead on HubSpot. This story was originally published on the YellowAnt blog. Alexa can now manage your Work Alerts was originally published in Chatbots Magazine on Medium, where people are continuing the conversation by highlighting and responding to this story.